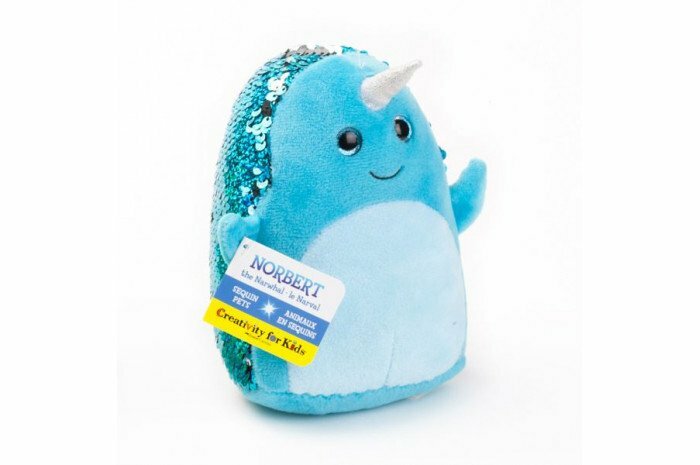 Norbert the Narwhal is lightly weighted for calming and anxiety relief but also small enough for travel. Super cute whale is relaxing and fun. 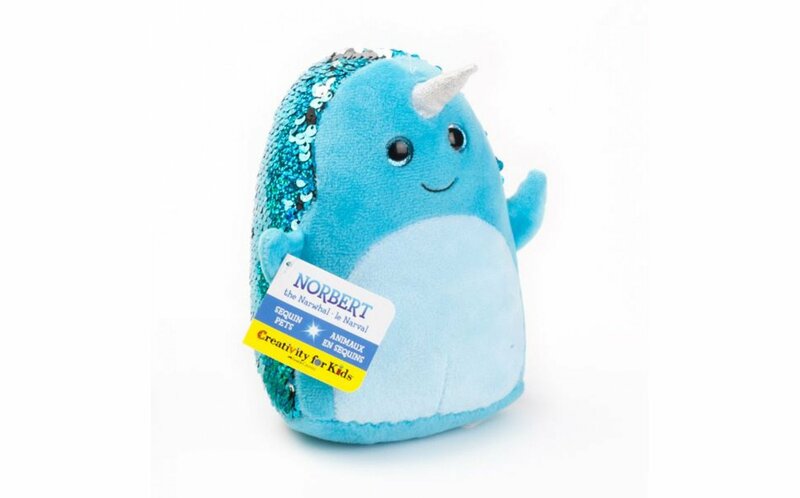 With his flip sequin back, kids of all ages will like playing with Norbert. Measures 6" tall and 4" wide. Weighs 0.93 lbs.